Dogs of similar size and purpose to the modern Beagle[a] can be traced in Ancient Greece back to around the 5th century BC. Xenophon, born around 433 BC, in his Treatise on Hunting or Cynegeticus refers to a hound that hunted hares by scent and was followed on foot. 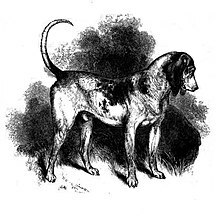 Small hounds are mentioned in the Forest Laws of Canute which exempted them from the ordinance which commanded that all dogs capable of running down a stag should have one foot mutilated. 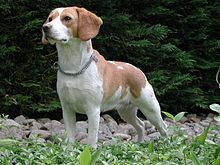 If genuine, these laws would confirm that beagle-type dogs were present in England before 1016, but it is likely the laws were written in the Middle Ages to give a sense of antiquity and tradition to Forest Law. 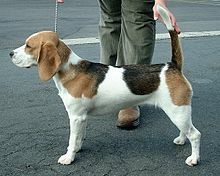 From medieval times, beagle was used as a generic description for the smaller hounds, though these dogs differed considerably from the modern breed. 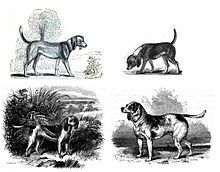 Miniature breeds of beagle-type dogs were known from the times of Edward II and Henry VII, who both had packs of Glove Beagles, so n..